Men's Basketball: Can the Wildcats find hope in defeat? Men’s Basketball: Can the Wildcats find hope in defeat? Bryant McIntosh drives past a defender. The freshman point guard became the face of Northwestern’s frustration after missing a potential game-tying shot against Michigan. Yet, he’s expressed great pride in his team after each defeat in this recent trio, which doesn’t exactly mesh with a win-or-bust mentality. And in the same Michigan State interview, Collins also stated that the Wildcats “won the game,” when they in fact lost the contest — the definition of touting a moral victory. But this contradiction is not a chance to criticize Collins. Actually it’s the right stance for him to take. If this were a potential NCAA tournament-caliber team coming along after years and years in a specific coach’s system (i.e. Bill Carmody’s 2011-2012 squad), moral victories would certainly no longer matter. Nobody’s going to accept the “close enough” mantra when a coach has already used his fair share of time. But that is not the case with Collins. This is the longtime Dukie’s second year at the NU helm, and, in all honesty, it feels like his first with the old regime’s players falling away and the athletes Collins prefers finally taking the court. We all know this is a rebuild through and through, and the expectation of an NCAA Tournament run is at least a year off. What’s of importance in 2014-2015 is to see that this freshman-heavy squad can be respectable in the Big Ten. And they’ve proven that to be the case so far. The Cats may be 1-4 in conference play, but they’ve shown they can hang with almost any Big Ten squad. A 1-4 record that included four blowout losses would be much more troubling. But why should we be OK with losses? Because these close calls now mean NU is in line to capture more victories in the future. It’s not so much that this team will “learn how to win,” rather that a more experienced squad in future years will simply be a better team. And with this baseline group being a competitor in the Big Ten already rather than a conference punching bag, that means future improvement might net that elusive tournament appearance after all. Jesse Kramer: Northwestern has a history with close losses. It’s not just the three straight close losses this month. Since the 2008-09 season, which is when NU effectively became more than just the Big Ten’s doormat, the program is 1-9 in conference games that went into overtime. The Wildcats are also 14-16 in Big Ten regulation games decided by 5 points or fewer during that time. Last year was a rare exception where the Cats felt what it’s like to be on the winning side of several close games. Part of this program’s reputation under former coach Bill Carmody was that it could get close but never finish, whether that meant losing a single game on a buzzer-beater or over a season falling a few wins short of earning a NCAA Tournament berth. 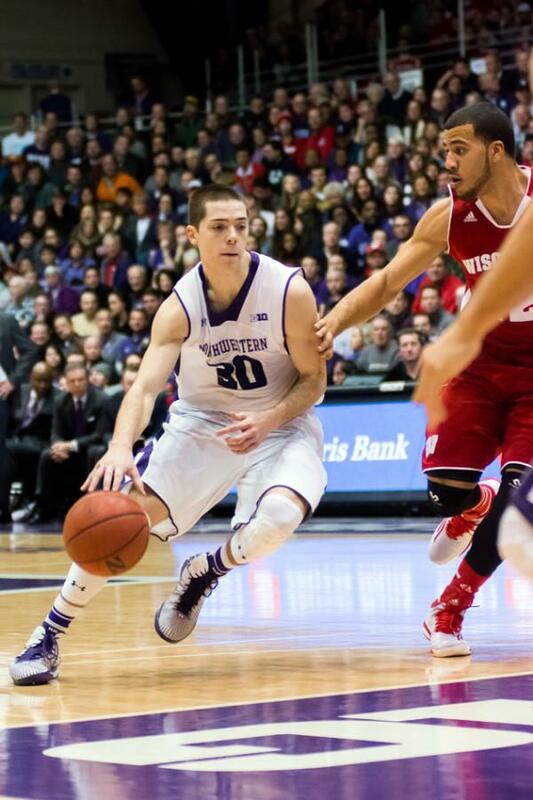 Coach Chris Collins is trying to change the culture at NU. In the end, Bryant McIntosh’s miss at the end of NU’s loss to Michigan does not change how the team competed on the road for the first 39 minutes and 59 seconds. In that sense, a moral victory can exist. But the fact that the Cats needed McIntosh to make a game-tying basket on the final possession after leading in the second half shows they missed an opportunity to steal a conference road game. If Collins is going to succeed in changing the culture at NU, the Cats have to become a team that capitalizes on opportunities for victories instead of blowing them away. Only real victories, not moral ones, will achieve that goal.